Would have been better if they had stepped out and watched it while it was playing in theatres. aur dusri kounsi audience hoti hai mere Bhai??? Really man Salman in his own legue.. Being salman fan i couldnt tolerate this crap.. thats it why it was my first skip of salman movie for theatre watch.. after watchin in lappy i felt my decision was right..
Bombay Times Front Page Ad for Prem Ratan Dhan Payo World Television Premiere at 1pm to celebrate Prem Divas. 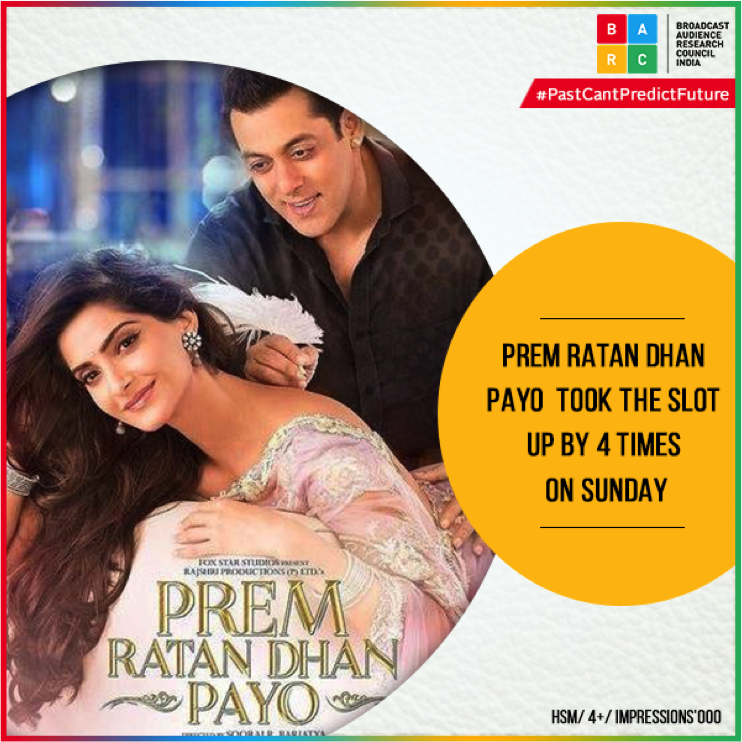 Prem Ratan Dhan Payo front page ad on The Times of India. The Best Song of PRDP to be out tomorrow at 2 pm. Time for Jalte Diye.